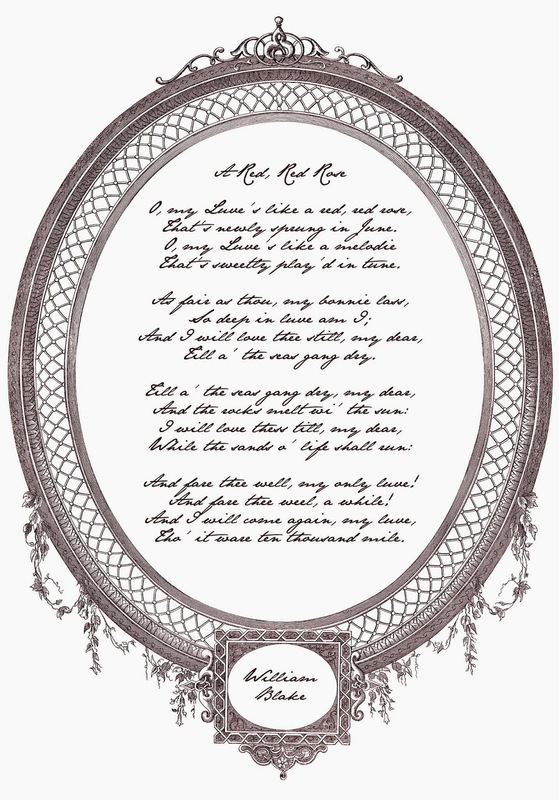 Whether you need a quick last-minute gift for the one you love, or would simply like to adorn your walls with romantic poetry, here are two beautiful vintage-inspired printables for you. 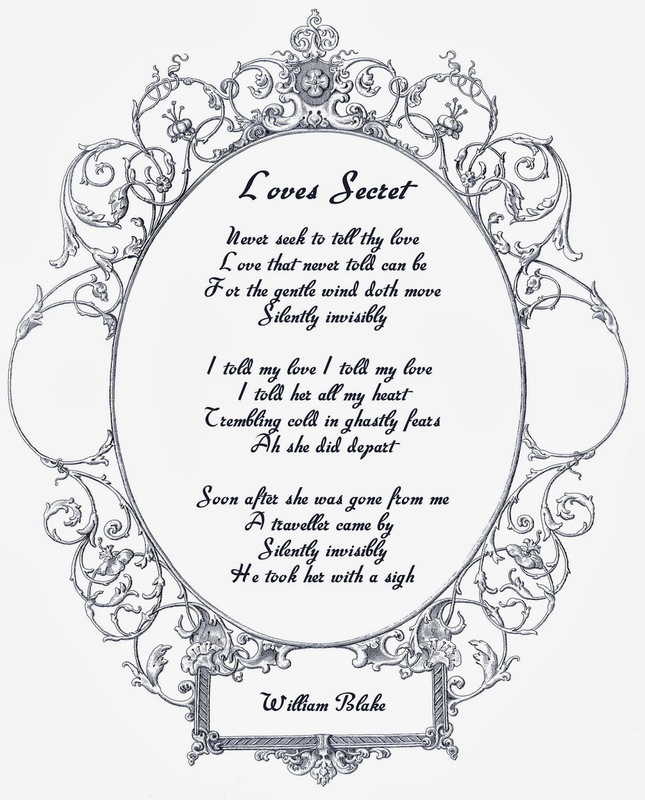 These printables feature A Red, Red Rose by Robert Burns and Love's Secret by William Blake, arguably two of the greatest romantic poems of all time (and certainly two of my personal favourites!). To download these printables, simply right-click the file-type you would like and select "Save As..."
I've made these available in both PDF and JPEG format for free download: the PDF is print-ready for the original A4 size, while the JPEG may be more useful for editing in your favourite program if you need it to fit a smaller frame. Please feel free to share these printables however you like (social media, Pinterest, or even by emailing to your friends!). I would appreciate a mention or link back to this page if possible, but please don't upload these to your own site and claim as your own work. Hope you all enjoy a wonderfully romantic Valentine's Day this year!